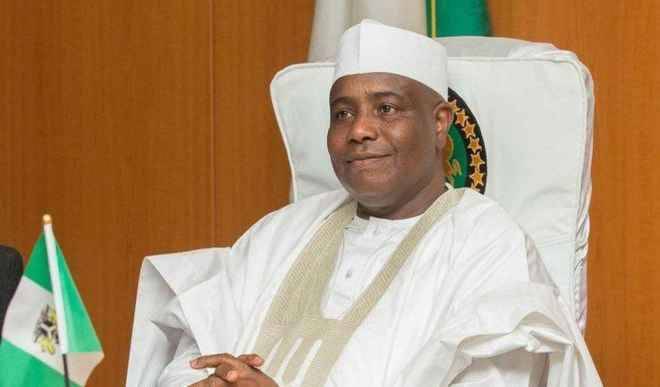 The Independent National Electoral Commission (INEC), on Thursday, presented certificates of return to Governor Aminu, Waziri Tambuwal of Sokoto State alongside his deputy and other members-elect of the state House of Assembly. However, all members-elect of the All Progressives Congress (APC) members-elect were conspicuously absent during the event held at Sultan Maccido Qur’anic Institute, Sokoto. It would be recalled that APC won 16 majority seats of the State House of Assembly leaving the ruling People’s Democratic Party (PDP), with 14 seats. In the epoch ceremony which was well attended by INEC officials and PDP supporters, the INEC Commissioner in charge of Sokoto, Kebbi and Zamfara state, Hajia Amina Zakari, reminded politicians to promote violence-free electoral process in future elections. She said on its part, the electoral umpire was ready to improve and learn from past mistakes. Zakari also revealed that INEC does not believe in inconclusive election, saying the major reason for it was violence, and urge all political stakeholders to promote violence-free elections. She called on the winners to give back and provide dividends of democracy to the electorate and counselled those who lost in the polls not to lose hope in future elections. In his speech, Governor Tambuwal called on the people of the state to have faith in his administration, saying all the electoral campaign promises he made would be fulfilled in due time. He thanked the electorate for voting him into power and dedicated his victory to God. His words: “When we won the election with a margin of 3,413, INEC in its wisdom declared the election inconclusive, but later Allah in his wisdom concluded the election. “He did it with a margin of 342; let me remind them all, a win is a win, no matter what the margin of winning is. “I am appealing to our brothers and sisters from whatever party to come and join us to move the state forward. It is only Allah that gives power and has chooses who He intends to give in the state. The INEC, Head of Voters Education and Publicity, Musa Mohammed, could not be reached when contacted on phone to comment of why APC members-elect could not attend the event.